Apple at its WWDC 2018 event detailed some of the features which will be coming to iOS 12 this fall. While there was quite a handful of them, one of the major ones shared on stage was group FaceTime calls. Now, it seems that other internet messaging apps have started to add the extension as well. That’s right, we have come to know that WhatsApp has now added support for group voice and video calls for iOS as well as Android. So let’s dive in to see some more details on the matter and whether the update features more forward-facing additions. Initially, the group voice and video calling feature in WhatsApp was announced in May. The feature is now live and available for all. The announcement was done in a blog post bragging that users spend more than 2 billion minutes in calls per day. While group voice and video call feature is here, it is not as extensive as FaceTme on iOS 12. FaceTime in iOS 12 will offer support for adding up to 32 people in a group FaceTime call. In WhatsApp, the number has been kept to 4 people in total. Another important addition is that the calls will be end-to-end encrypted, meaning even WhatsApp will not be able to decipher and listen to what you’re saying. Furthermore, the company said that the feature has been designed with immense attention to connectivity. It means that the feature would work reliably around the globe, including the places with poor network conditions. There will be more to the story, so be sure to stay tuned in for more details. This is all for now, folks. 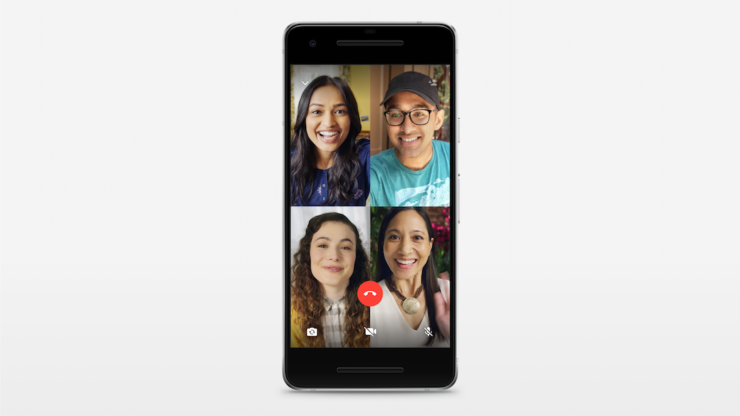 What are your thoughts on WhatsApp’s new update for group voice and video calling? Share your views in the comments.